Many of the fundraising ideas are FREE...shopping online or recycling old Mobile phones and Ink Cartridges. Perhaps when you selling items on Ebay? Or, create a Muchloved Memorial website. Ever wanted to take the challenge of a lifetime and do a Charity Skydive? 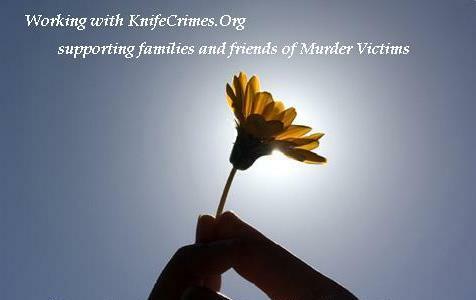 Raise Funds for KnifeCrimes.Org as you Shop...It doesn't cost you a penny more! With over 2,000 well known stores and each will donate up to 15% of what you spend. For example, John Lewis will donate 1%, Amazon 1.5%, The Body Shop 6%, some Insurance Retailers will even donate up to £30 simply for taking out a policy with them! Thoughts...The Thoughts gallery is the area on your website where visitors can add their condolences and send wishes of love and support. It is quick and easy to add a thought and along with the rest of your site, you can edit and amend the display of all thoughts at any time you wish. Life Stories...You can add any number of chapters of Life Stories to record memories and events. One of the key principles behind the MuchLoved service is that it does not matter how much information is added. You can add just one short note of tribute or add as many chapters as you like without limit. This means that, over time, you can continually add to and develop your life story library of memories and recollections. Pictures and Slideshows...You can add as many pictures as you like to display in a picture gallery and also to link to any particular entry that they may specifically relate to. For example, you can link photos taken on a holiday to a Life Story entry about that holiday if you wish. These linked pictures can also be shown as a slideshow display to really help illustrate and bring a particular memory to life. Music and Video...As well as pictures you can easily add numerous music tracks and video clips and even link them to particular entries just as you can do with pictures. This way a song that reminds you of a particular time of life, or a video clip taken on a special occasion, can easily be added to your website. Timeline...You are provided with a Timeline area where you can record key life time events to help build up a historical record of significant dates, achievements and events. Whilst this feature is there for you to use, if it is not right for you or you are not ready to create a Timeline, you can simply ignore and it will not display on your website. Journal...You can also keep a personal diary on your Tribute for recording your feelings and your journey through grief. You can add as little or as much as you like and many people have found this section a helpful way of expressing feelings and of staying connected in some way to their loved one following their death. This Journal section can be kept totally private if you wish, even to invited guests. In Memory Donations...You can also set up your Tribute with the option of accepting donations to KnifeCrimes.Org from visitors. If you wanted to help us by raising donations in memory, you may find that this is a fitting and touching way of doing this. Any visitor who wants to donate will be directed to our secure online donate page to make their donation and by doing so help fund our future work. Designs and Appearance...You are provided with many different styles of design to choose from and your website is not fixed width so that you can expand or reduce its size so that it appears correctly on any sized screen for viewing. Also, if you have not added a particular element (such as video) it will not show as an option to visitors so you do not then show a ‘Nothing Here’ message. This is because we want your website to look beautiful, regardless of what information or how much you add. Easy to Create Process...In order to make the service easy for everyone to use there is a quick and simple five-step process to follow in order to create your tribute, taking just a few minutes, and then you can view and start to develop your website immediately. MuchLoved is a Charity and so it is a 'free service' and there is no commercial or promotional material added to your memorial. Its ethos is very different to many other memorial website organisations and you are provided with comprehensive privacy and access controls so that you can control who can visit and make contributions to your tribute. Your website will not be opened up for public access unless you choose to select this option and you can read more about your privacy options on the MuchLoved website. You can create your trial tribute with no obligation to keep simply by visiting MuchLoved and then selecting the create a Tribute option.